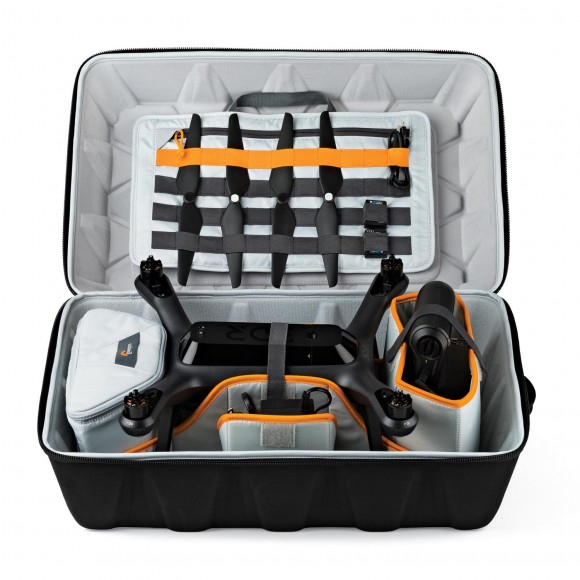 - The perfect, out-of-the-box solutions for carrying, organizing, storing and protecting your drone gear and all essentials. 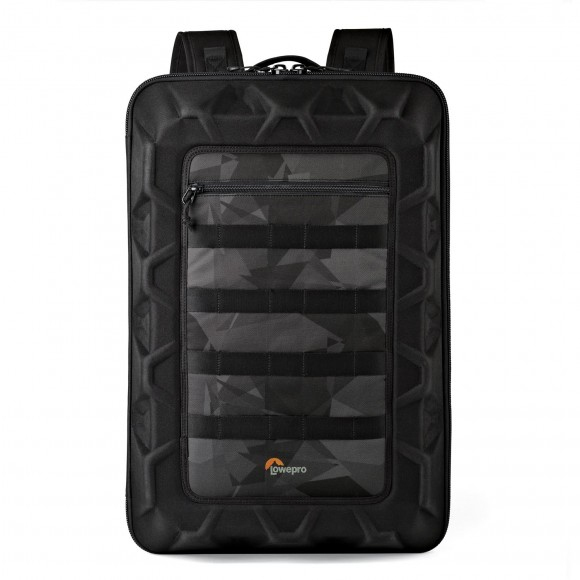 - Designed by serious quadcopter pilots at Lowepro for serious quadcopter pilots. 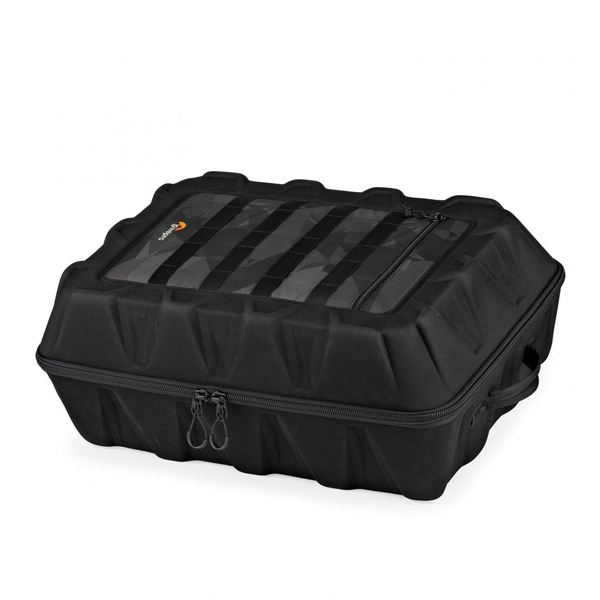 - FormShell™ technology with lightweight, yet sturdy composite-shell construction offers superior protection for gear without adding weight or bulk. 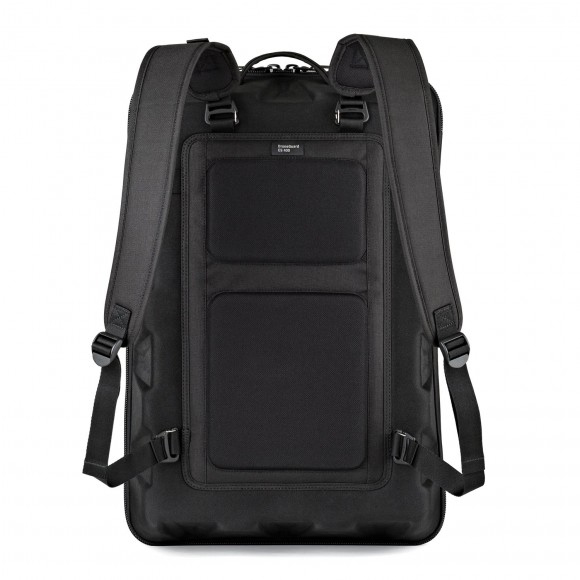 - A lightly padded backpad includes attachable backpad straps. 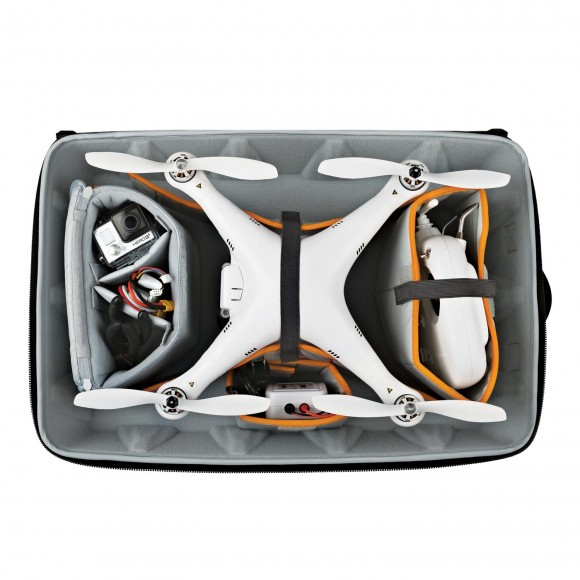 Use for treks out to your flying location, or detach and pack away for less bulk or for long-distance travel. 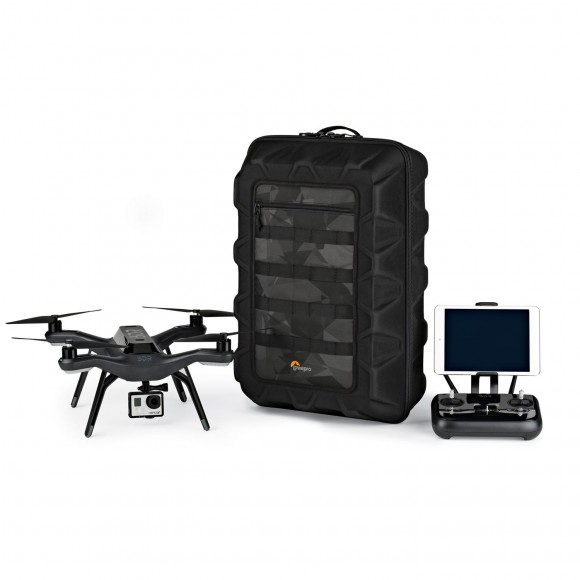 - Patent-pending DroneGuard system of organization features flexible dividers and compartments for all large and small accessories. - DroneGuard system is easy to customize. Change your flight plan; change your set-up! 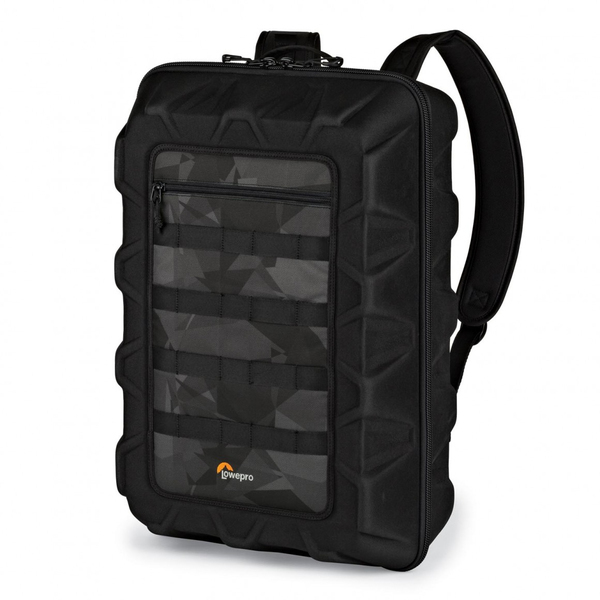 - Includes dedicated storage for blades, props, GoPro or other action video camera, batteries, cables, chargers, mounts, manuals, etc. 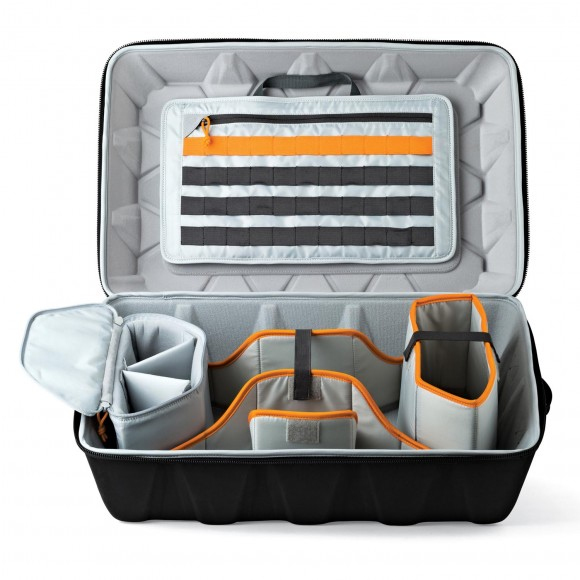 - Handled and removable storage panel with accessory straps helps to keep small and fragile parts secure and neatly organized. Easy to grab, go and fly. - Exclusive, tactical "fractal camo" print on top of case for a rugged and unique aesthetic. - Ideal for storing in a trunk of car for transport or in garage, closet or workshop for an organized storage option.